The United States is pressing its European allies increase the pressure on Moammar Gaddafi and convince his remaining loyalists to abandon the regime, U.S. officials said. The Obama administration also declared it stood ready to aid Libyans seeking to oust their long-time leader. 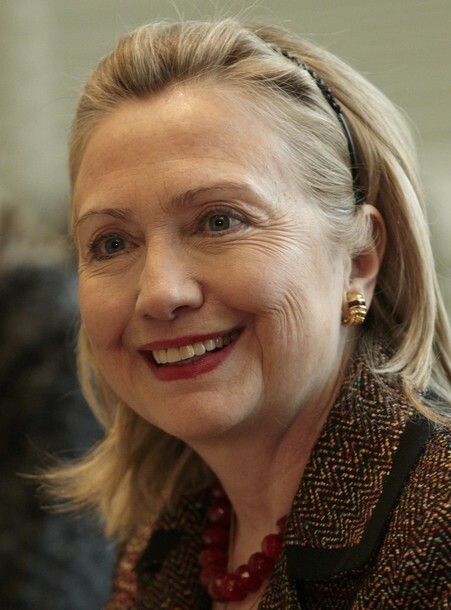 Secretary of State Hillary Clinton will make the administration’s case for stronger action to foreign ministers from Britain, France, Germany and Italy when she holds a series of high-level talks Monday in this Swiss city. Clinton will also look to coordinate future U.S. sanctions on Gaddafi’s government with senior officials from Russia, Australia and the European Union so that the international community presents unified opposition to the attacks that have killed hundreds of people in the North African country, senior administration officials said Sunday. They spoke after Clinton said the U.S. could offer ‘any type of assistance’ to anti-Gaddafi Libyans organizing in the east of the country, though she made no mention of any U.S. military help to a provisional government that is organizing or of a no-fly zone over the country – as called for by senators John McCain and Joseph Lieberman. ‘We want him to leave and we want him to end his regime and call off the mercenaries and those troops that remain loyal to him,’ Clinton told reporters a day after President Barack Obama branded Gaddafi an illegitimate ruler who must leave power immediately. The senior administration officials, speaking on condition of anonymity to discuss internal administration planning, said they expected EU sanctions as early as Monday and pointed to the far larger economic impact they could have because most of Libya’s exports go to the continent. That means, as with Iran, concerted European action affecting oil, trade or investment relations with Libya could deal a crippling blow to Gaddafi’s economy whereas the impact of American sanctions is more limited. While an official said ‘substantial’ Libyan assets based in the U.S. were blocked by the administration last week, the effect of Europeans ‘mirroring’ those penalties could do more to prod Gaddafi’s closest allies to abandon ship. And tougher measures are being considered, the officials said. 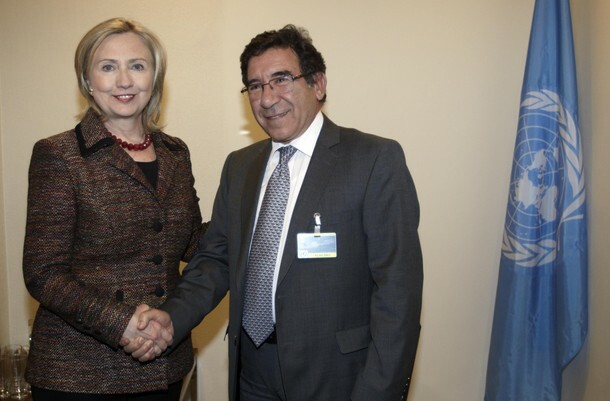 Secretary of State Hillary Clinton shakes hand with Tunisia's State Secretary of the ministry for foreign affairs Radhouane Nouicier after a bilateral meeting in Geneva February 28, 2011. 8:45 a.m. LOCAL Secretary Clinton holds a bilateral meeting with Australian Foreign Minister Rudd, in Geneva, Switzerland. 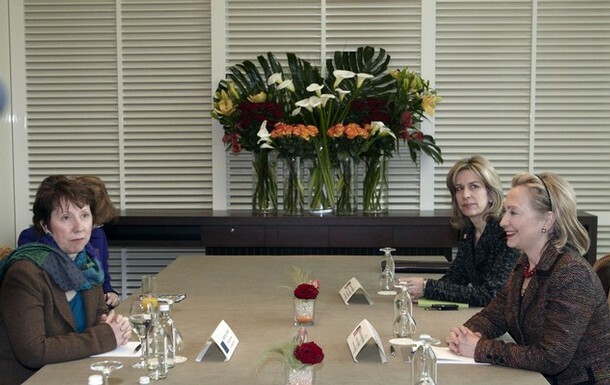 9:30 a.m. LOCAL Secretary Clinton holds a bilateral meeting with Russian Foreign Minister Lavrov, in Geneva, Switzerland. 10:45 a.m. LOCAL Secretary Clinton holds a bilateral meeting with EU High Representative Catherine Ashton, in Geneva, Switzerland. 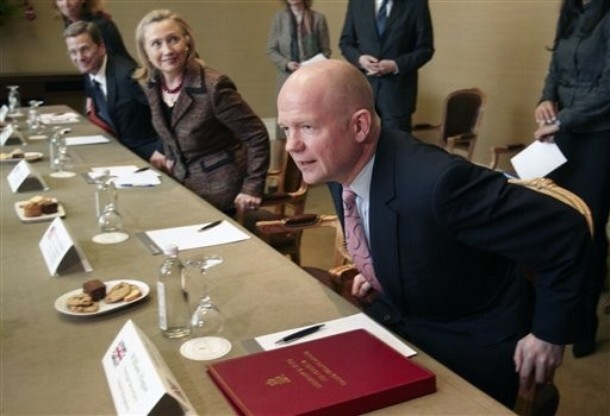 11:00 a.m. LOCAL Secretary Clinton meets with Italian Foreign Minister Franco Frattini, German Foreign Minister Guido Westerwelle, UK Foreign Secretary William Hague and French European Affairs Minister Laurent Wauquiez, in Geneva, Switzerland. 1:00 p.m. LOCAL Secretary Clinton holds a bilateral meeting with Turkish Foreign Minister Davutoglu, in Geneva, Switzerland. 2:10 p.m. LOCAL Secretary Clinton holds a bilateral meeting with Tunisian Secretary of State Radhouane Nouicer, in Geneva, Switzerland. 2:30 p.m. LOCAL Secretary Clinton holds a bilateral meeting with UN High Commissioner for Human Rights Navi Pillay, in Geneva, Switzerland. 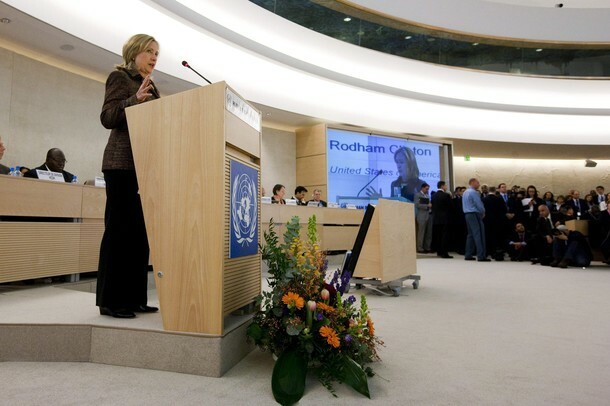 3:30 p.m. LOCAL Secretary Clinton delivers remarks to the Conference on Disarmament in the Disarmament Chamber, at Palais des Nations, in Geneva, Switzerland. 4:00 p.m. LOCAL Secretary Clinton holds a bilateral meeting with South African Foreign Minister Maite Nkoana-Mashabane, in Geneva, Switzerland. 5:20 p.m. LOCAL Secretary Clinton holds a press availability, in Geneva, Switzerland. 6:25 p.m. LOCAL Secretary Clinton meets with the staff and families from Mission Geneva, in Geneva, Switzerland. PM Secretary Clinton returns from foreign travel. She’s a truly admirable and accomplished woman, her autobiography is a great read as well! I thought the Quartet was meeting on the sidelines in Geneva?- maybe I heard incorrectly? Thanks for the travel update. Hopefully some videos will be available. Thus far Germany is really putting the screws to Libya with the harshest measures yet- good for them! I don’t know why the UN won’t institute a no-fly zone. I was listening to an analyst this morning on NPR who said sanctions really won’t do much at this point. She always looks like she’s having the most fun.